The Intersections & Beyond: DreamWorks Animation presents "How to Train Your Dragon"
DreamWorks Animation presents "How to Train Your Dragon"
Synopsis: From the studio that brought you Shrek, Madagascar and Kung Fu Panda comes How To Train Your Dragon -- an adventure comedy set in the mythical world of burly Vikings and wild dragons, based on the book by Cressida Cowell. The story centers around a Viking teenager, who lives on the island of Berk, where fighting dragons is a way of life. Initiation is coming, and this is his one chance to prove his worthiness to his tribe and father. But when he encounters, and ultimately befriends, an injured dragon, his world is turned upside down. 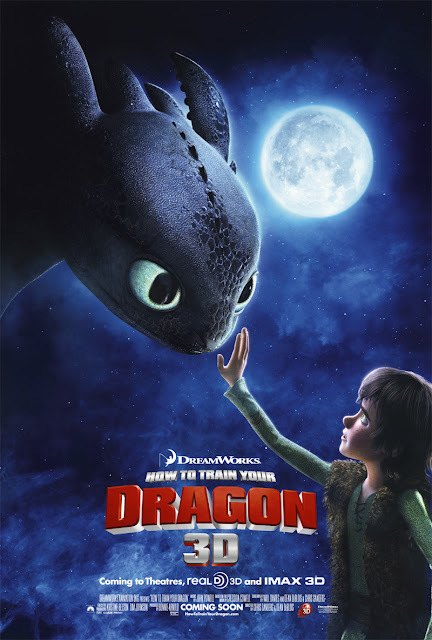 How to Train Your Dragon, distributed by Solar-UIP, opens in all SM Cinema branches on March 26. Watch it best in SM Digital Theaters (March 19) and IMAX Mall of Asia (March 26). Log on to www.smcinema.com for more details.